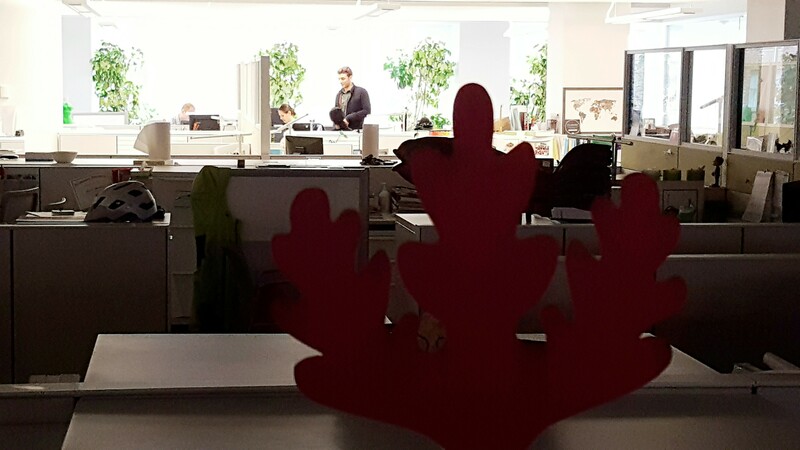 Step 1: Print out your leaf. 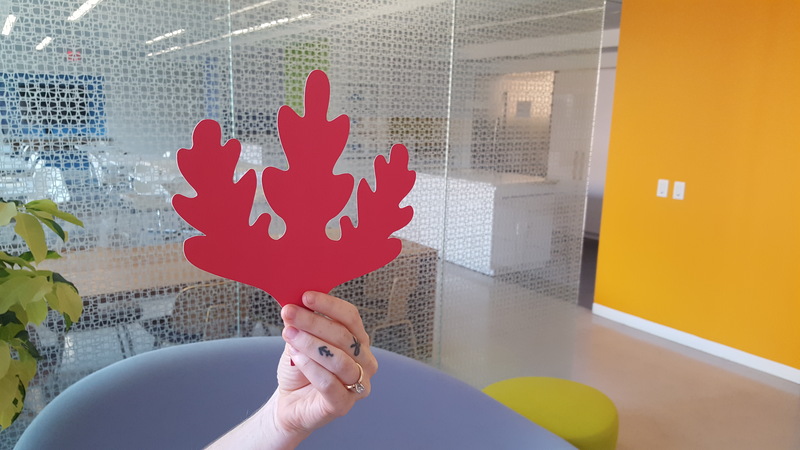 Step 2: Capture a photo of your favorite LEED® project, including the oak leaf in the picture. Photos can be taken indoors or outdoors. Experiment with interesting angles and vantage points. Have a friend hold the leaf for you to get the perfect shot. Make sure the image is in focus and no too blurry. It’s better not to shoot straight into bright light. Adjust your angle so the background will not be blown out. 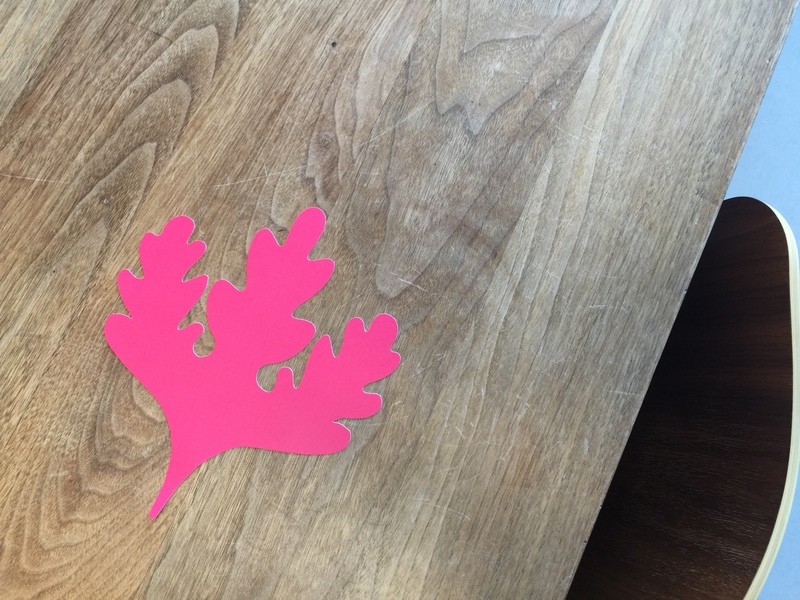 Don’t take a photo of the leaf on a flat surface. We want to see the project you are highlighting. Safety first. Don’t take any unnecessary risks to capture your photos. Step 3: Share your best photos on Facebook, Twitter and Instagram. Don’t forget to tag your photos #FindyourLEED. 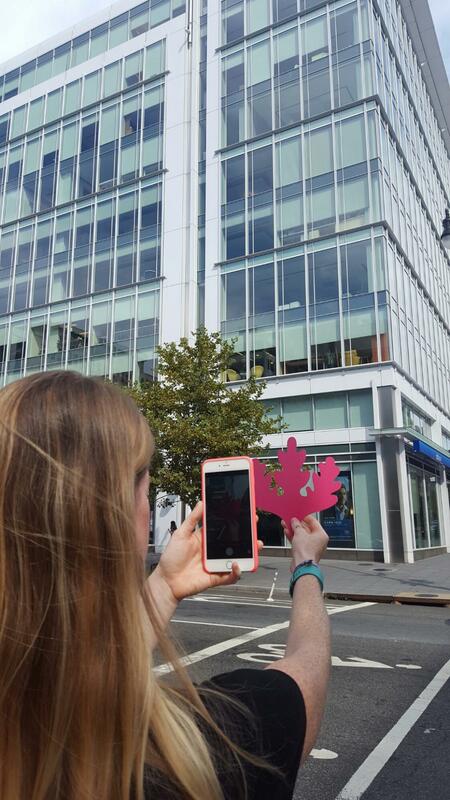 Check out other #FindyourLEED photos for inspiration! In celebration of the upcoming 2016 Greenbuild International Conference and Expo in Los Angeles, here’s a look back at how we brought the USGBC® experience to life in New Orleans in 2014. And be sure to visit us in booth #1425 at Greenbuild 2016, “Iconic Green,” in Los Angeles. Last week, I joined over 3,500 other content marketing professionals in Cleveland, Ohio, for Content Marketing World. This annual event features so many experts on different aspects of content marketing strategy that it was hard to choose just one session for each time slot. Each speaker brought a special way of looking at content challenges in today’s fast-paced world. At some types of conferences, learning is about absorbing factual information—but at CMWorld, it was more about absorbing new ideas. For me, one anecdote could start a whole train of thought on how to creatively engage with customers. Although stats, ROI techniques and other concrete tips were plentiful, the real takeaways from Cleveland were the fresh ways to look at the content we generate at USGBC®. According to author and speaker Andrew Davis, there are 347 blog posts published every single second. As marketers, we often think that more is better and keep throwing the same message at our audience. But being bombarded with information only makes people numb to it. Davis encourages companies to raise themselves above this content flood by offering customers original, engaging content they don’t even realize they need—but once they see it, they’re hooked. They will be eager to subscribe and will anticipate seeing this content on a regular basis. Davis’s example was “FishTales,” a 16-second video series on Instagram billed as “The Shortest Cooking Show in the World.” A fish business that had been floundering (sorry, couldn’t resist) took off in a big way through this creative format. It led to a longer-format show on YouTube and, in turn, high demand for Bart van Olphen’s sustainably caught seafood. Workfront’s Heather Hurst, like many of the experts at CMWorld, encouraged us to stop trying to be everything to everyone. Any organization will benefit from zeroing in on what it does best and what its core customer base wants. Her analogy was the emergence of food trucks, a specialization success story. Food trucks have changed the game for downtown lunch spots the way that Uber has changed the game for taxis. Flexible and mobile, food trucks are popular for their convenience, fun factor and highly specialized focus. In Hurst’s scenario, “going big” was a corn dog truck toting a gigantic corn dog on top. In D.C., I’ve seen trucks dealing in tater tots, Asian-fusion tacos and waffles. Whatever your specialty, hone it, refine it and show it off! You do it better than anyone else, and people will follow you for it. TrackMaven CEO Allen Gannett shared a lot of colorful anecdotes about creativity and the perception that successful media arises from sheer inspiration. But usually, it doesn’t—it’s the product of a system. Without a system, the number of possible ways to approach making content can result in our creating hit-or-miss, ineffective pieces. According to Gannett, gathering user data narrows the options to a manageable set of proven formulas. If you believe, as about 60 percent of marketers do, that your content is not generally effective, then it’s especially important to track what kinds of content are successful and focus on repeating those formulas. He refers to this as “intentional creativity.” If you know what works, make more of that. If your goal is to increase your organic search traffic, advises Arnie Kuenn, CEO of Vertical Measures, there are several concrete steps you can take. You can eliminate duplicate content by deleting or combining articles so that similar content items do not compete with one another. You can freshen up existing articles by updating the content and tweaking titles to reflect more current industry terms. Another way to increase SEO rankings is to add semantic keywords and synonyms. Kuenn suggests that your rankings will improve if you are seen as an authoritative industry voice—search engines read content with a variety of related phrases and industry terms as being more high-quality content. His example was a passage containing the word “TV show” in several places, which he then reworked to include the phrases “episode,” “pilot,” “series,” and other related phrases. Focus on adding synonyms that make sense for your industry and its customer searches. As I mull over these and more tips from the conference, I’ll be thinking about new ways that USGBC can serve its audience with content they need and content they want. Is there something you’d like to see more of in our green building content? Leave your ideas in the comments below.